I love to see men with 'liver' wey dey pore for grand. If you know what I mean. 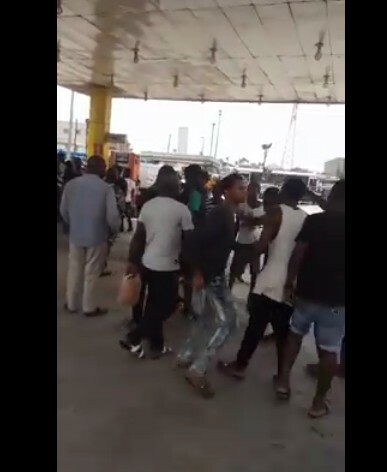 There was chaos earlier this morning at NNPC petrol station in Ketu, Lagos after an officer with the Special Anti-Robbery Squad, SARS, engaged in a fist fight with a resident in the area. The cause of their quarrel was not revealed as they challenged each other at the filling station in front of bystanders. 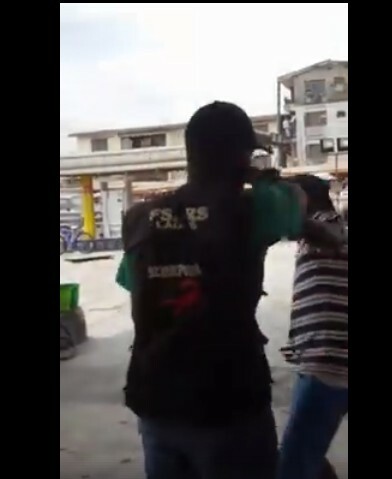 In a trending video footage, the SARS officer can be seen throwing a punch at the young man who reciprocated the gesture by hitting him back while getting himself ready for more action. Other SARS officers who were at the scene had to calm their colleague down as people gathered in their numbers in support of the guy..